Complications due to the lack of proper management on multi-employer worksites can pose a serious threat. When handling employees supervised by multiple employers, it’s important to understand who is responsible under each circumstance. Pre-task safety and health planning can minimize onsite incidents and diminish the amount of potential OSHA violations. 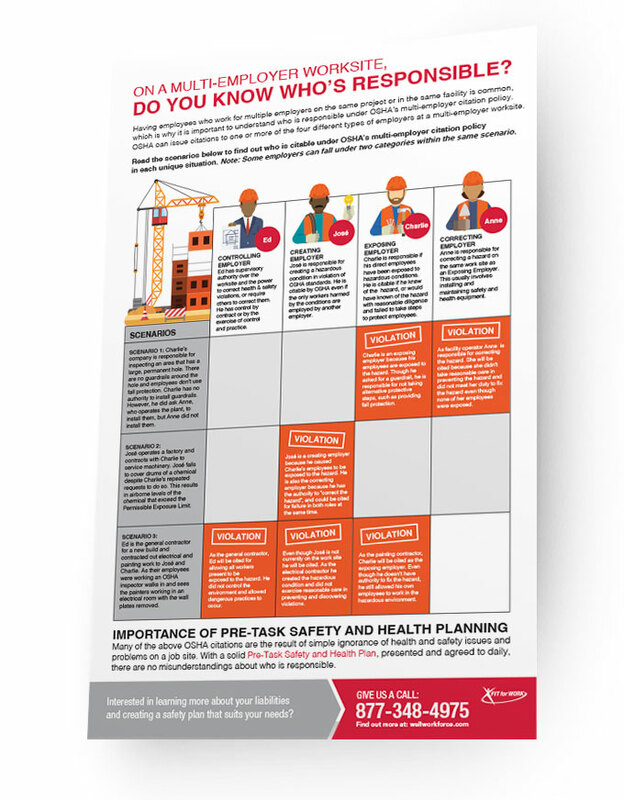 Download the infographic to learn more about determining who is responsible on a multi-employer worksite and how OSHA’s multi-employer citation policy might affect your organization. on Thursday, July 26th 1:00-2:00PM CST.